With a splash of red Chianti wine in your glass, you automatically feel relaxed as the luscious red glistens under the light. With one sip, the smoothness of the wine slides down, spreading your insides with a warmth that one can only get from a much-needed glass at the end of the day. Wine has that effect on people. Full-bodied and aromatic, the right Italian red wine from Montemaggio can do just the job of relaxing you while titillating your senses. However, for those who are more concerned about their weight than their sense of relaxation, one fact can cause a lot of worry in the back of their minds. This red wine is perfect but will it make me fat? While you’re drinking, understand that like every food item in the world, wine also has its fair share of calories. However, the distribution of calories can differ between dry wines and sweet wines. But more than that, they can differ on the number of ounces you’ve had to drink. 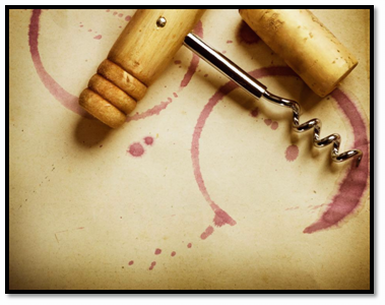 Per ounce, wine has a low number of calories and is free from cholesterol, sodium and fat. However, if you lean more towards the sweeter wine, you will get an increase in calories since that sweetness will come from unfermented sugars. 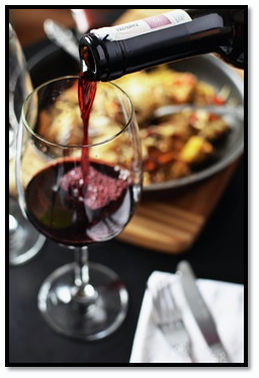 In order to be a healthy drinker of organic wines, you need to monitor your serving size- 5 oz. of wine is the limit- don’t think you are good to go if your glass happens to carry 20 oz. Try to understand your limit when it comes to drinking. Your body cannot process the right way if you cross your limit of allowed alcohol per day. However, the limit for every person differs in order of gender and genetics. So you could be a burly man with a family history where everyone loves to drink, but it won’t stop your genetics from making you light-headed after two glasses. You need to judge your limits yourself and not depend on assumptions. To drink your fair share of wine, you need to balance with a protein-rich snack to give yourself the right nourishment. Contrary to popular belief, drinking your weight in wine will not make you feel better. But if you pair a small glass with your favorite meal, you might start feeling better yet. Lastly, start exercising so that you can feel happy about your glass of wine. If you do feel like your wine might be adding some extra lumps around your waistline, work hard to bring back your curves. After that, celebrate the end of your day with a glass of wine so that you can enjoy your wine-drinking experience without worrying about your weight.